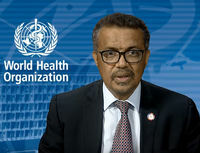 In 2011 the United Nations High Level Meeting on NCDs demonstrated a global consensus around the need to develop and implement prevention strategies and control the disease burden related to alcohol and three other major health-risk factors: tobacco, unhealthy foods, and lack of physical exercise. The four disease categories addressed by the UN’s NCD initiative include cancer, cardiovascular disease, chronic lung disease, and diabetes. Although NCDs are commonly perceived as problems of more wealthy countries, a significant portion of the disease burden from NCDs actually occurs in low- and middle-income countries. “We are quite concerned by the lack of progress in addressing the NCDs and their risk factors, including alcohol, in a serious way, comments FORUT after the closing of the United Nations High-Level Meeting on NCDs in New York. All evidence points to the same unpleasant reality: that if the current pace of progress continues unabated, by 2030 the agreed Sustainable Development Goal (SDG) target to reduce NCD mortality will remain a distant reality. This is the opinion of more than 190 CSOs that have sent a statement to WHO. «Much of suffering because of non-communicable diseases can be avoided by doing a better job in prevention and treatment. But this requires political commitment in the highest political places, says WHO’s new Director-General and points at alcohol and tobacco control as areas of priority. The Montevideo Roadmap is weak on addressing alcohol as a risk factor for non-communicable diseases, comment three large global NGO networks. They all recommend increased use of fiscal measures like alcohol taxation to reduce the burden of non-communicable diseases. 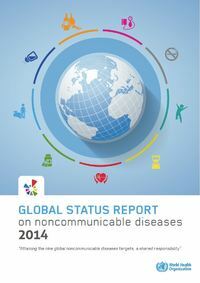 World Health Organization (WHO) has released a new Global Status Report on Nonommunicable Diseases (NCDs). The report states that most premature NCD deaths are preventable. Of the 38 million lives lost to NCDs in 2012, 16 million or 42% were premature and avoidable – up from 14.6 million in 2000. The International Agency for Research on Cancer and the European Commission has released an updated 4th edition of the European Code Against Cancer. The Code points at alcohol use as one of the significant risk factors. Still public awareness around this link is alarmingly low. 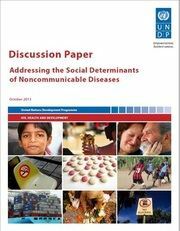 United Nations Development Programme (UNDP) has recently issued a Discussion Paper titled "Addressing the Social Determinants of Noncommunicable Diseases". It offers a typology of multisectoral action on NCDs and a framework for actors outside the health sector to take action. “We experience a tsunami of new non-communicable diseases. We have got no option. We must put our efforts into prevention by promoting healthy lifestyles”. 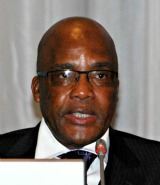 With these words the South African Minister of Health, Hon Aaron Motsoaledi opened the a WHO meeting on NCDs in Johannesburg. Experts have known since 1987 that alcohol can cause cancer, but the connection between the two is often unknown or ignored, both by the general public and by health professionals and NGOs. To compensate for this Eurocare and the Association of European Cancer Leagues have now launched a web resource on alcohol as a risk factor for cancer. See the new web site here.